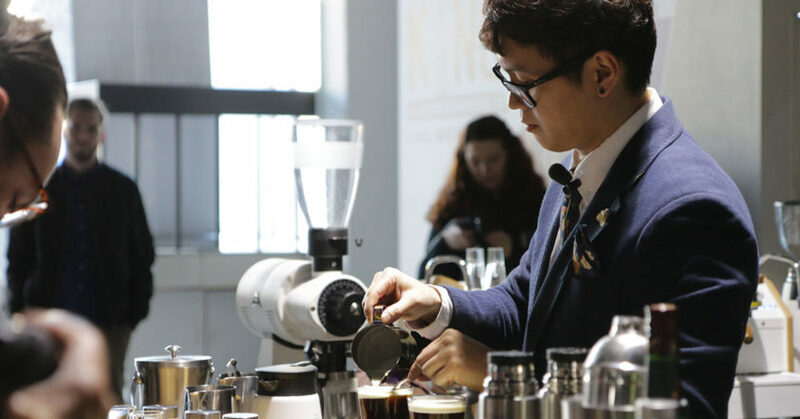 Chanho Hong of Normcore Coffee Roasters will be on hand at the Parmalat Professional stand (#48) at the Melbourne International Coffee Expo (MICE) on 8 February to serve his podium finish-worthy coffee cocktails. Chanho’s Damn Good Cool Cat Irish coffee and his signature Damn Good Shot earned him third place at the 2018 Australian Specialty Coffee Association (ASCA) Coffee in Good Spirits championship. Both cocktails use Normcore roasted coffee. The Damn Good Cool Cat consists of Normcore’s cold brew combined with coconut sugar syrup and Jameson Irish whiskey. The beverage is then topped with Pauls Professional Pure Cream. The Damn Good Shot sees lemongrass-infused espresso, mixed with Cascara infused honey, Earl Grey-infused Absolute Peach Vodka, and Grand Manier. The drink is then iced and stirred. Parmalat will provide recipe cards at the stand, allowing attendees to make the drinks at home. Cocktails and recipe cards are limited, so get in quick. Also at MICE, Parmalat and Pauls Professional will hold in person entries to a latte art competition, with a $1000 prize via EFTPOS gift cards. A winner will be announced on 9 February.Entries online and in-person close at 5pm on 8 February. Winners will be announced via Instagram and at MICE on 9 February at 9am.